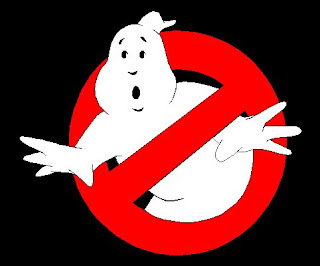 Ghostbusters 3 On The Way | JAMMSBRO '+g+"
It's official. After 19 years since the last one, Columbia Pictures have announced plans to go ahead with a third installment of the Ghostbusters franchise. Yessss!!! The original was released in 1984, with the follow-up five years later. There was a soin-off cartoon series, and rumours of another feature, alas nothing came of it. Crap!!! Now, two of the writers of the American version of The Office, have been hired to produce a script that would re-unite the original cast. Awesome!!!! So hopefully Bill Murray can lay off the dull dramas he's been doing lately and get back to what we all want to see; Dr Peter Venkman. No word yet on who's directing or a release date, but I can't wait. If this comes to screen with the original talent on board i will EXPLODE!!! !